Keeper is a password management software which provides a strong guard on the safety and security of all your passwords in one single vault. It is compatible with all the popular platforms and browsers, and offers the best security of any cloud-based password manager. It uses two-factor authentication, AES encryption and zero knowledge architecture so as to store and manage website passwords, financial details and other secretive and sensitive documents. Syncing, sharing and backup in cloud are all possible with this software. A unique encryption key safeguards and stores user information in the user’s private vault. This software even comes preloaded with many leading mobile handsets and can be downloaded on Android, Windows, Linux, Kindle and iOS, with much convenience. 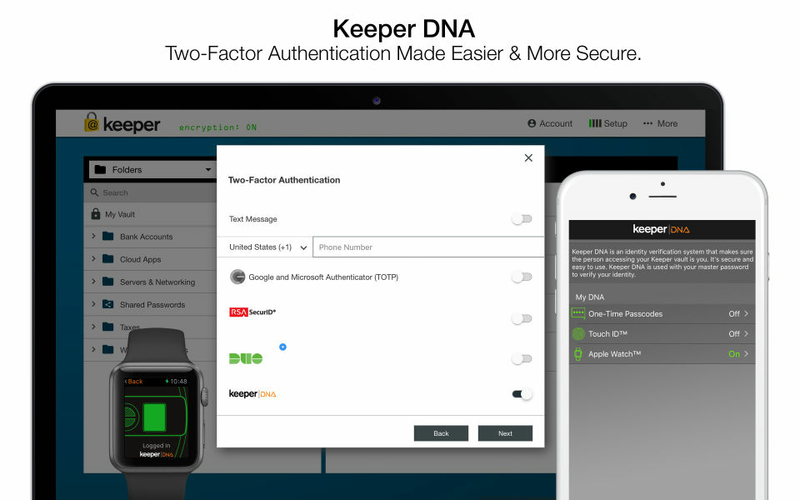 A special feature called ‘Keeper DNA’ incorporates multi-factor authentication through connected devices like a smartwatch, so as to confirm the identity of the user before logging into the user’s vault. Hence Keeper happens to be a leading password manager that assists in combating cybercrimes and preventing data breaches by installing strong passwords to safeguard all your sensitive secrets most ardently. How much does Keeper cost ? The pricing for Keeper starts at $1.67 per month. 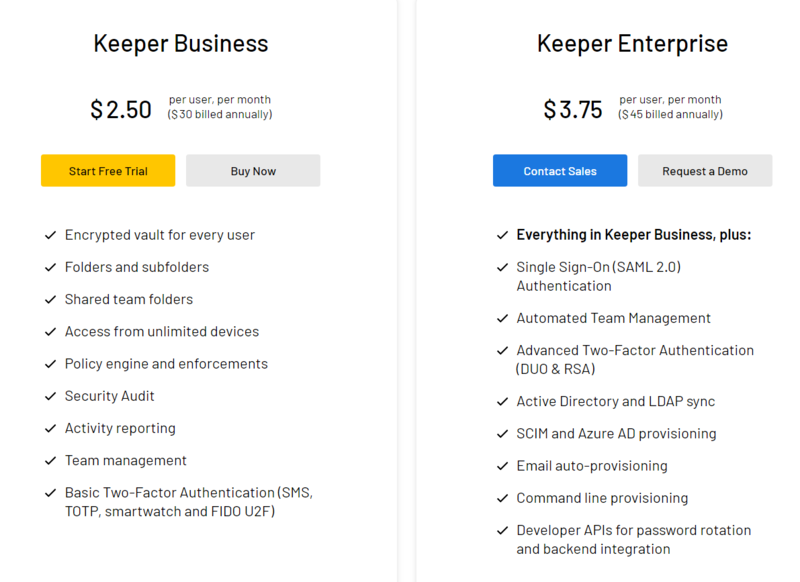 Keeper has 4 different plans such as - Keeper Chat at $1.67 per month, Keeper Business at $2.0 per user per month, Keeper Personal at $2.5 per month and Keeper Enterprise at $3.75 per user per month. "Reliable password manager with great extensions. " 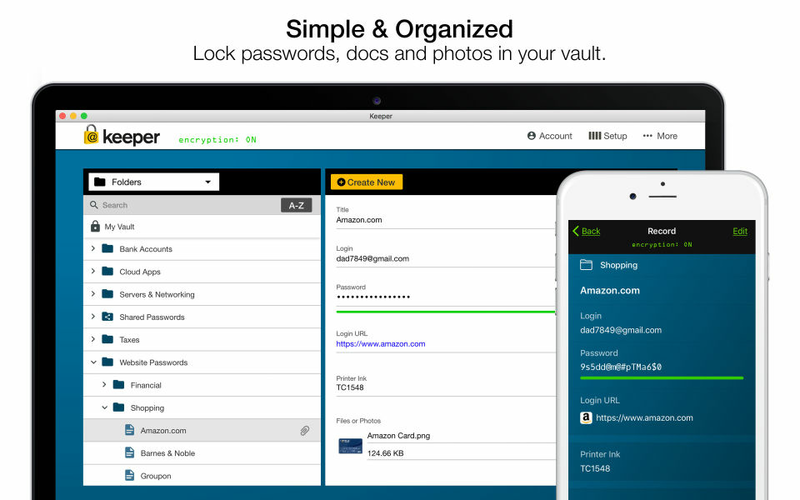 Keeper, as the name implies, is an excellent password manager with many advanced functions. The software provides with high-encryption standards, which ensures powerful protection. 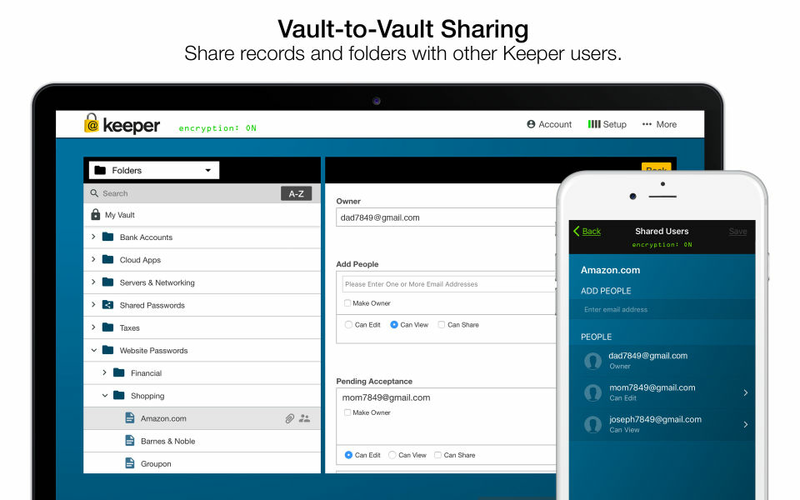 In contrast with similar software, Keeper enables users to store also their files such as photos, credit cards, sensitive documents and notes. It ensures password generator, so you can be sure that your accounts are protected with strong and complex passwords. The most significant feature of Keeper is a security audit, which shows me the power of my passwords, repeatability and detects weak passwords. The interface is transparent, and everything is divided into proper sections. Keeper supports many platform and devices; moreover, the web extensions are well thought-out and quickly log users to their accounts. Synchronisation the application with the cloud is also seamless. Personally, the beach watch feature is a smart money-tricking function, as I was advised to activate the service (it isn't cheap) as I might be in danger and I would be informed if my logging details were found in the darknet. I ask HOW, it's almost undetectable. Also, some facilities such as password recovery are paid. If you are willing to buy a password manager with many advanced functions and user-friendly interface, you might consider the software. I suggest using the trial version first and check if the software meets your requirements. Keeper enables me to have all my password stored in a mobile encrypted vault, so I don't need sticky notes and notebooks with them. I have got the applications and extensions installed on every device. If any of them were stolen, I would easily destruct my information, as I have a backup on the cloud. No more worries in keeper.Using keeper is not totally a problem because it is very user-friendly with the combination of high functionality. 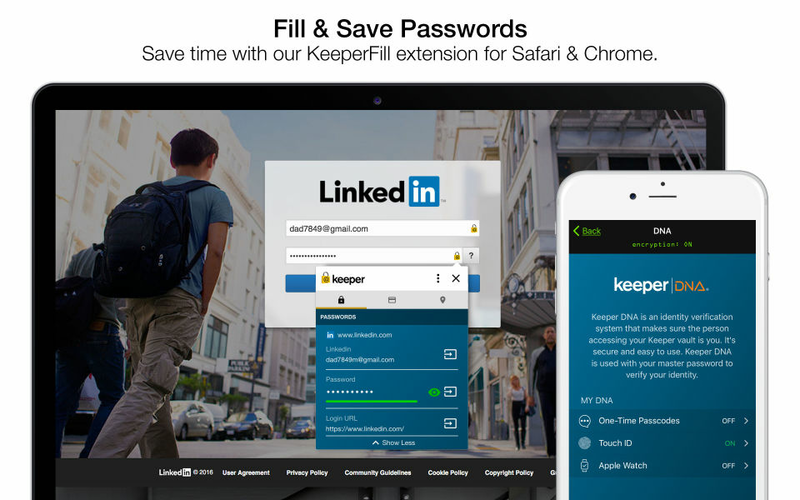 Keeper is my number one password managemet software and protects my online data against hackers. Using keeper is not totally a problem because it is very user-friendly with the combination of high functionality. Keeper is my number one password managemet software and protects my online data against hackers. The thing that keeper also offers to use this. You need to pay for basic monthly plan to fully use the features it has. Thank you for service keeper.Keeper software is my credentials and password manager and protector. It is really worth to pay for it's premium. Keeper software is my credentials and password manager and protector. It is really worth to pay for it's premium. I wish that keeper will have a lower cost for premium version or membership so i can save more money. Pros: I like the ability to manage all of my password from one solution, and any techs that need access are given and can be removed at anytime. Cons: Pricing was a concern at first, after successful implementation, we are truly impressed with this solution. No more worries to forget important passwords and email. I have accounts that need to keep it safe and that this app does. Thank you keeper. Can't ask for more because you hit my expectation and i like it. First, I am retired and, to my knowledge, use Keeper, not Keeper for Business. With that clarification, I am eminently satisfied with Keeper. It is easy to use and, in the years I’ve been using it, I have not had any sort of security problem. Living in a world in which one needs this kind of security. That said, I do believe Keeper has done an excellent job of making my access as painless as possible. "Won't leave home without it!" Prior to trusting my pwds with Keeper, I had a password protected Word file that I used. This was not very secure and was cumbersome when away from home. With Keeper installed as a Chrome plug-in and as an app on my phone, my pwds are with me wherever I am. While the web plug-in works flawlessly, I've had some issues with the Android app. Whenever I have to log into other apps and/or sites, the app sometimes doesn't integrate into the username/pwd fields. This requires me to open the Keeper app and copy/paste the pwd. Not very convenient.... Also, it would be helpful if we can store other types of things. We can store credit card information, but it would be helpful to store bank account/routing numbers. For personal information, it would help if we can store things like SSNs, and account numbers for other services that may come in handy. It would also be handy to sort passwords by most recently used so that we can clean up and archive old sites that we no longer use. I no longer have to use the same password across my digital landscape. I can rest knowing that each site has its own secure password. Pros: Keeper is awesome software for keeping your business safe and we've used it successfully. The pricing is pretty decent for the cost of security and it also encrypts your data too which is really fantastic. UI is clean and really good. The two-factor authentication is really annoying but that's always how it is. Never reset your passwords again.Keeper saves my passwords and login names. For a long time I've been saving the passwords that safari suggests. But they're incredibly complicated and impossible to remember although it's safer. I used to note them on a notebook or on the note app on my phone (not ideal). A friend told me about keeper and I've tried it out. I thinks that's a crucial feature is that keeper encrypts your data. You can also save other informations on it. Keeper saves my passwords and login names. For a long time I've been saving the passwords that safari suggests. But they're incredibly complicated and impossible to remember although it's safer. I used to note them on a notebook or on the note app on my phone (not ideal). A friend told me about keeper and I've tried it out. I thinks that's a crucial feature is that keeper encrypts your data. You can also save other informations on it. I don't think there's a con to this software. I use the free version and is all I need.